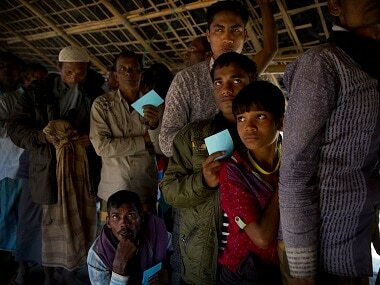 Dhaka: Bangladesh will launch a birth control campaign among the Rohingya Muslims amid fears that the refugee population could rise sharply with the influx of the ethnic minority Myanmar nationals, a minister said on Thursday. 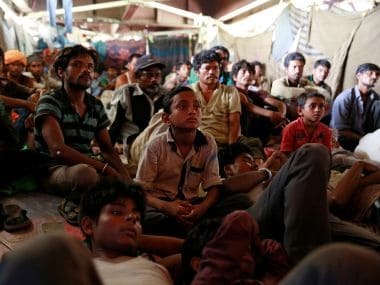 Plans are being chalked up to motivate the Rohingya to keep their family size small alongside providing them with kits containing birth control pills and other contraceptives to prevent outbreak of sexually transmitted diseases (STDs), officials said. "We have so far mobilised six medical teams to create awareness among the Rohingya about sexually transmitted diseases and birth control methods," Bangladesh's health and family welfare minister Mohammed Nasim told PTI. Officials and experts said the initiative is crucial as the reproduction rate among the backward Rohingyas is high, while they lacked ideas of birth control systems. Their comments came as United Nations Population Fund (UNFPA) said midwives they deployed at makeshift Rohingya camps in southeastern Bangladesh's Cox's Bazar delivered at least 200 babies since the recent influx of refugees began on 25 August. The UN agency said it trained 35 midwives to work in crisis situations while they were attending to women and girls in the two government-run refugee camps in Cox's Bazar over the past few weeks and providing emergency services including for STDs and caring for pregnant women and young mothers. Over 400,000 ethnic minority Rohingya Muslims fled across the border from Myanmar's northern Rakhine state and are now living in squalid settlements in southeastern Bangladesh. UNICEF estimates suggest an "unprecedented" 60 percent of new refugees in Bangladesh are children while Rohingya girls are exposed to risks of sexual violence and early marriage. Director general of Bangladesh's health services Abul Kalam Azad said a team led by the country's family planning department chief has visited makeshift Rohingya camps earlier this week and developed a strategy to launch the birth control campaign. Primarily, he said, the government planned to provide them short-term family planning kits containing condoms, birth control pills and birth control injections. "They are not familiar with the methods of controlling birth. As a result most of the families have five to seven children," the health services chief said. Doctors earlier identified one of the Rohingya refugees to be an HIV carrier at the Kutupalong camp in Ukhia while the patient was kept in an isolated place to be treated properly. "A medical team on Monday visited different camps particularly to detect various types of sexually-transmitted diseases including HIV/AIDS," Azad said. Thirty-two medical teams are working routinely at the sites to distribute 120,000 measles vaccines, 40,000 polio vaccines, and 38,000 vitamin tablets provided by the government, he said. 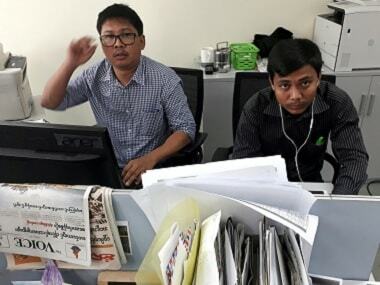 Officials of the Institute of Epidemiology, Disease Control and Research (IEDCR) said many Rohingyas were suffering from diarrhoea, acute respiratory throat infection, pneumonia, chronic skin disease called 'psoriasis' and fever. "They developed the diseases largely due to intake of contaminated food and water," IEDCR director ASM Alamgir said.